Okay, I swear that this is the last time I’ll talk about my cats in hats. But do they not look beautiful printed out on fabric? I definitely need to order a bigger cut so I can see all 20 of them! From left to right: cotton poplin, cotton voile, organic cotton sateen, Kona cotton, and linen-cotton canvas. The only one that doesn’t look as good as it could is the canvas, but I think that’s because detailed images don’t show up very well on such a rough weave. 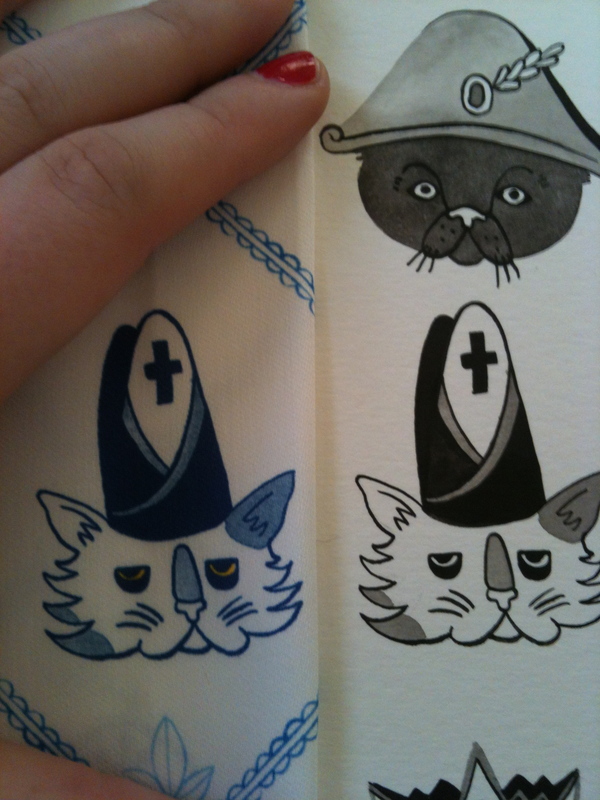 Here’s a side-by-side comparison of the fabric and my original ink drawings. Pretty spot-on if you ask me! Anyway, I should be posting a more substantial update fairly soon, as I’m about to start another piece. A few weeks ago I mentioned that my new actor-crush is John Hodiak (sorry Orson); as it turns out, fate has conspired to have me paint a piece based on one of Mr. Hodiak’s films. I literally squealed, “John Hodiak is in this?? Yes!” as soon as his name came up in the opening credits. Let me tell you, I was very excited to collect reference material. those are lovely. I wish the Uk had this print-fabric service. i looked into but it’s quite expensive when you add on the shipping 😦 boo hiss. Also you have to pay customs over anything that costs £30 which I recently did for 2 TShirts. So for now I’m going to wait for some uk company to catch up. 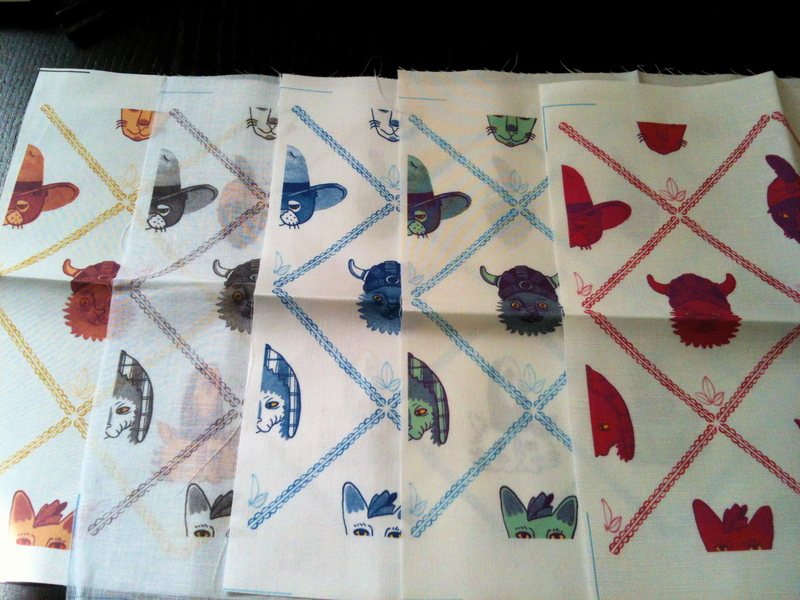 Fabric swatches look great! 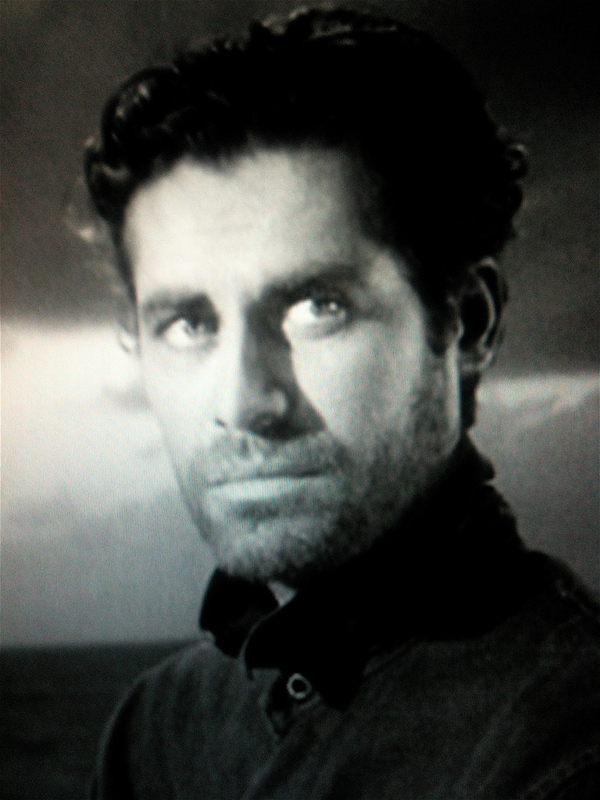 John Hodiak too. Can’t wait to see the new designs. Very cool! How satisfying to see a thought become image then be reproduced as a product. Fabric looks great!